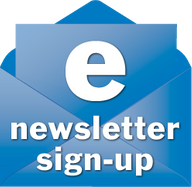 I'd be honored to have you sign up for my newsletter. The main newsletter will be sent quarterly to your email address. Occasionally, but not often, I will send out notices of special sales or releases. Believe me, I hate spam mail as much as you and I don't intend on spamming anyone. If you're interested, click on the image below and sign up. Thank you.